Very soft and reusable, just rinse under water! The TUF SHINE Applicator Sponge is the perfect tool for applying the TUF SHINE Tire Clearcoat. It applies a nice even coating for that perfect finish on your tires. 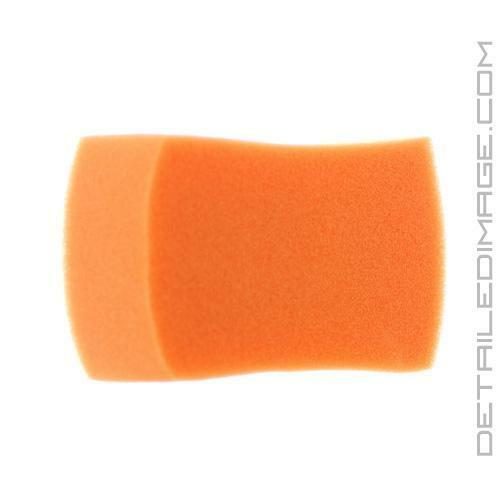 It's a soft and reusable foam material that will help you with multiple applications. Just rinse it under clean water and wring it dry so it can be used again. It is also the same exact applicator found in the TUF SHINE Tire Appearance Kit. Pricey, but really helps spread expensive tire dressing, thin and precise. Threw this in my cart just to try it and what a find. I love this applicator. High quality feel and long lasting. Been using it to dress my exterior trim. Great price also. Next order will have a couple more of these. No cons so far.